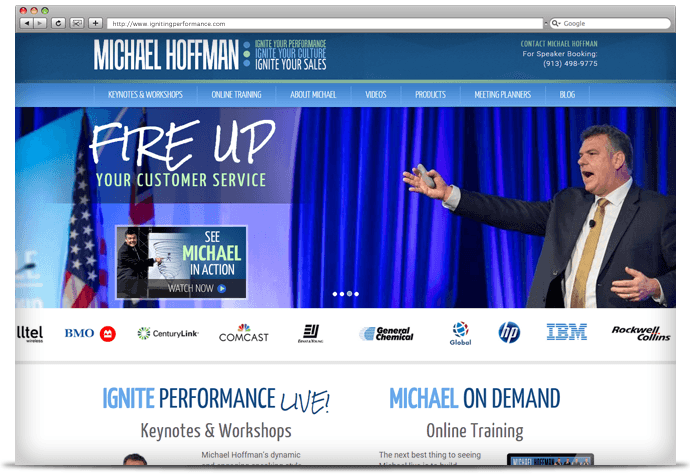 Speaker Michael Hoffman, CSP, ignites success in companies worldwide! For over 20 years, he’s been helping companies grow sales, develop leaders, radically shift their culture, and engage employees in building customer loyalty. Michael is known for his off-the-charts energy and hilarious delivery! 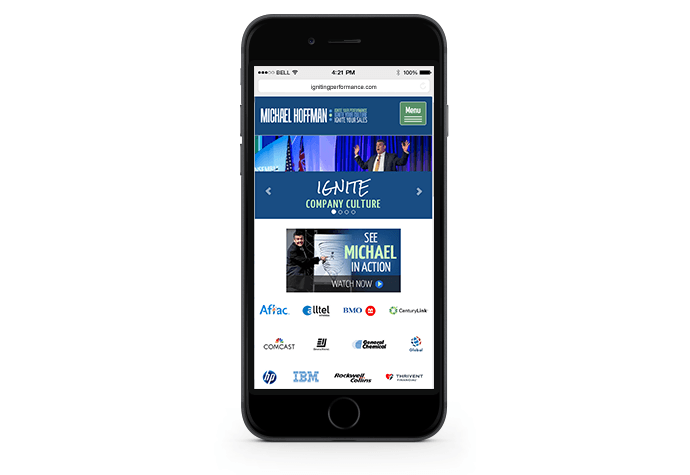 Michael’s website needed a refresh, improved SEO, and a responsive design for all devices. 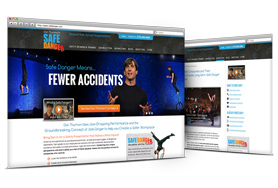 We also helped Michael develop and add online training programs to his site as a second way to deliver his great content. We wanted to make sure the benefits of working with Michael were clear: improved culture, sales, leadership and customer loyalty. We worked with Michael and his team to bring these benefits forward in the headlines and copy. Clear calls-to-action were added for each page. Michael liked many aspects of his existing design like the colors and fonts, so we focused on bringing more of his personality to the site. 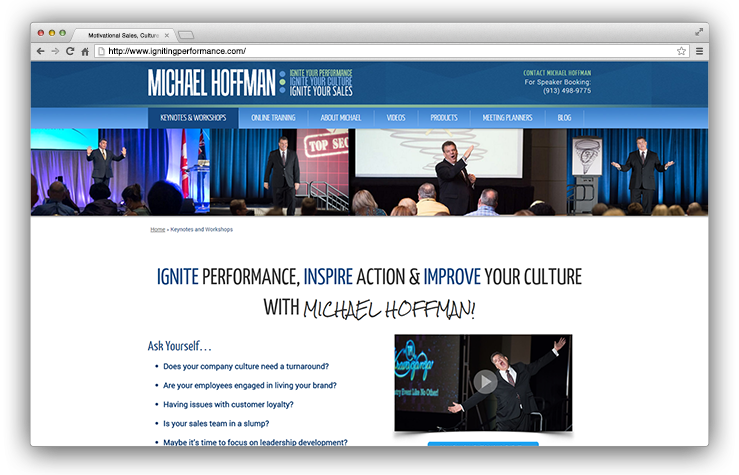 We integrated video throughout, and used header banners on each page to showcase fun, high-energy photos of Michael in action!